It was, in all honesty, delicious. OK, I 'cheated' a little - I didn't grow my own olives to produce the oil in which I fried and stirred, and the salt I added was not exactly extracted personally from the ocean, but these are only minor concerns. I'm much more interested in the fact that not only were these homegrown ingredients, but that the substance of the meal - the leeks, cabbage and spring onions, were homegrown from scraps. 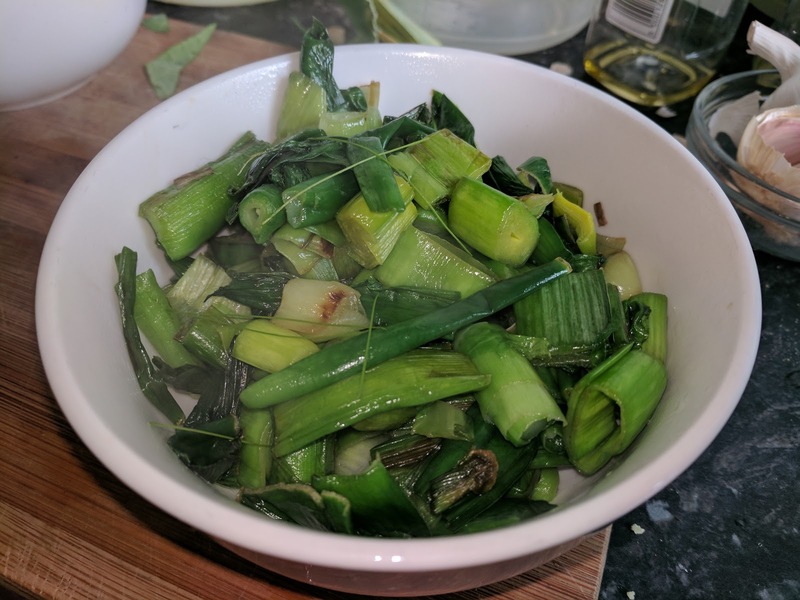 I've mentioned the power of spring onions regrown in water before, and it turns out the same power can be harnessed from leeks and cabbages too. These I've let sit in water for a good few weeks, until roots start to grow, before planting them back in soil and letting them do their thing. 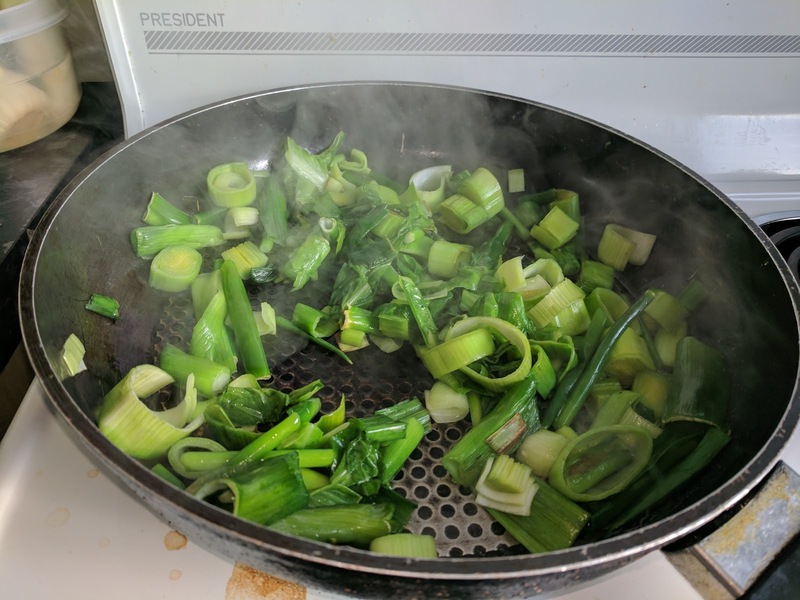 I'm curious to learn, now I've 'harvested' the leeks and some of the cabbage, how many times they'll regrow, and/or if yield will slowly decrease over time. It was an enormously satisfying breakfast: free, healthy, fresh and as 'of the earth' as the food from an indoor container garden could ever hope to be.